On Monday, Airbus CEO Tom Enders revealed plans for the company to test a prototype for a self-piloted flying car by the end of the year. 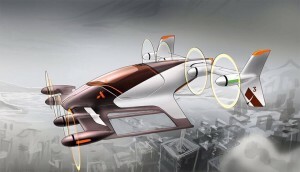 Ultimately, the goal of the flying car would be to help people avoid gridlock on busy streets by taking to the skies. “We are in an experimentation phase, we take this development very seriously,” he said, adding that he believed Airbus could fly a demonstration vehicle for single-person transport by the end of 2017. Enders continued, “With flying, you don’t need to pour billions into concrete bridges and roads,” hinting at the fact cities could save money on infrastructure.